Peter Meineck and Paul Woodruff's collaboration on this new translation combines the strengths that have recently distinguished both as translators of Greek tragedy: expert knowledge of the Greek and of the needs of the teaching classicist, intimate knowledge of theatre, and an excellent ear for the spoken word. 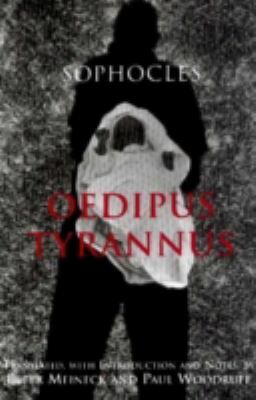 Their Oedipus Tyrannus features foot-of-the-page notes, an introduction, stage directions and a translation characterised by clarity, accuracy, and power.Sophocles is the author of 'Oedipus Tyrannus' with ISBN 9780872204935 and ISBN 0872204936. Loading marketplace prices 3 copies from $28.64 How does the rental process work?